“Better Touch Tool” is a great, feature-package application that makes you able to configure many gestures for your own features of your MAC such as “Magic Mouse, Macbook Trackpad, and Magic Trackpad and also Mouse Gestures” for normal mice. Once you install It you will be able to configure actions for your keyboard shortcuts, normal mice buttons, and the Apple Remote. In addition to this, it has an iOS companion Application such as (BTT Remote) which can also be configured to control your Mac by any way you want. 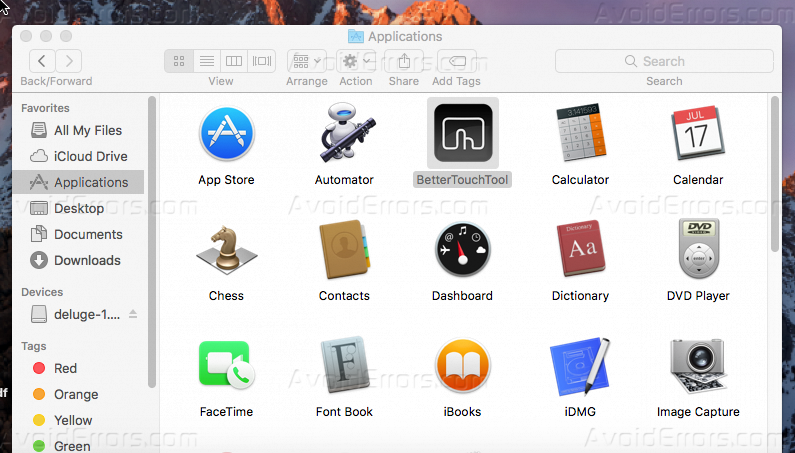 With this tutorial, you are going to know how you can install “Better Touch Tool” on your MAC OS X. 1. Download the application from its official website from HERE, and the application size is about 12 Megabyte. 2. After your download is completed, run the application, to start the installation process and click “Open”. 3. On this step, the installation process will prompt to move the application to “Applications” folder on your MAC, it’s recommended to move it so click Move. 4. Make sure that the “Better Touch Tool” is moved to “Application” folder, and run it safely to make sure that its installed successfully. 6. Once you run the application, that will be its interface. 7. You can move between each tab of it to gain knowledge about the application features.